Thank you for contacting the Governor of Hunan Province via the Governor's Mailbox. It is an online window where citizens, legal persons and other organizations can post comments and suggestions on governments at all levels and government departments in Hunan. Your e-mails shall be assigned or transferred to relevant accountability units through certain procedures, and the feedback shall be sent back to you as soon as possible. In an effort to expedite your request, we ask that you read notices below carefully. Requests will not be reviewed prior to receiving valid information. 1. Please abide by laws, rules, regulations, social ethics and administration of the column of "Governor's Mailbox". 2. Please enter your real name, phone number, address and email for timely communication. Please do not submit the e-mail again. 3. E-mails beyond the scope of the column shall be deleted by staff without any prior notice. 4. Ordinary e-mails shall be answered within 30 working days. Under complicated circumstances, the prescribed period may be extended, depending on the approval of the person in charge of mailbox administrative agency. 5. Private e-mails regarding sales promotion and invitation, personal e-mails to leaders, e-mails reporting problems with unclear facts or proposing suggestions with insufficient reasons, and e-mails with invalid contact information and unconfirmed content will not be accepted. 6. With regard to an act of sending e-mails malevolently, disrupting public order, encroaching upon rights of a person, or impairing social administration, the author shall, in accordance with Law of the People's Republic of China on Penalties for Administration of Public Security, be subject to public security punishment by the public security organs. If it constitutes under any crime, it shall be subject to criminal liabilities according to the Criminal Law of the People's Republic of China. 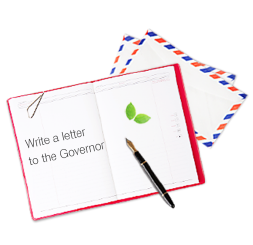 If you fail to mail us via Governor's Mailbox, you may also contact us via enghunan@126.com.